Nigerian Musician, Tijani Fowosere, popularly known as Tjan is known for his wonderful fusion of Yoruba lyrics into his soul RnB music. 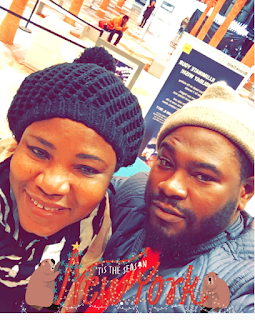 He took to his IG page to celebrate his mother as she is a year older today. "Happy birthday to my favorite girl in the world, my prayer warrior aka (mama jesu) 🤣. The world is not enough to take away your beautiful SMILE , i pray God keeps it that way for the rest of your life and i pray to always make you proud.I LOVE YOU MOMMA ❤️#birthdaygirl"